If you’re looking for a Langley dentist that offers you the latest techniques and technologies in dentistry alongside a patient-focused approach that always keeps in mind your lifestyle and oral health care needs, Willowbrook Park Dental Centre may be your choice for best dentist. Our highly skilled team is focused on delivering high quality dental work as well as a pleasant and calming dental experience. From specialty dental procedures, to routine check-ups we can handle all your dental needs. We pride ourselves on having modern equipment and training so that we can offer you a pleasing state-of-the-art dental experience. We are proud of our community and love to engage with it. Whether it is hosting a Tooth Fairy visit, or running in the Colour Me Rad run, keep your eyes out for us. This website will answer any questions you might have about various dental services, and will give you some great tips on how to maintain your oral health. 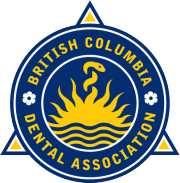 Please feel free to contact your Langley dentist if you have any questions about any dental-related topics. Our team is more than happy to help you find your best smile! 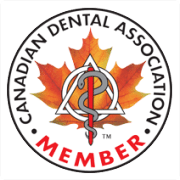 Subscribe to our blog for dental tips and tricks. We're social, too! Find us on Facebook, and Twitter! If you’re looking for a Langley dentist that offers you the latest techniques and technologies in dentistry alongside a patient-focused approach that always keeps in mind your lifestyle and oral health care needs, Willowbrook Park Dental Centre may be your choice for best dentist. We’re happy to accept new patients and referrals, and we accept patients of all ages, including children, teens, adults and seniors. Looking for a dentist near Willowbrook Park Mall?